Hello, I’m Tola Laseinde the designer/maker behind Detola and Geek, the award winning home and lifestyle brand. 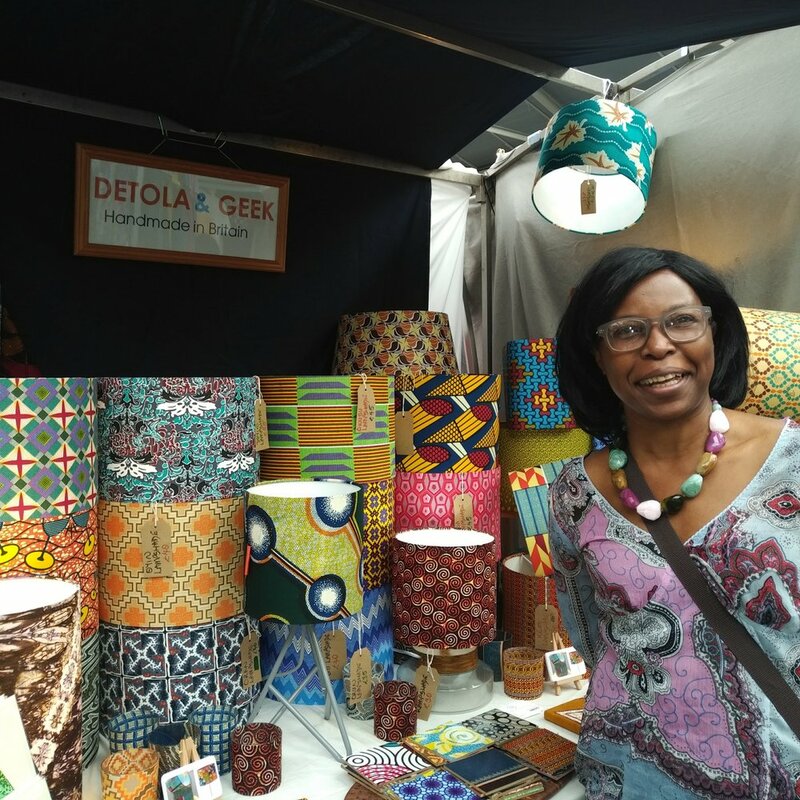 I make my own range of unique vibrant lampshades, homeware & gifts infused with African vibes. I currently work from my home-studio based in Letchworth Garden City, Hertfordshire. My handcrafted lampshades are my signature & best-selling products. They seem to be gaining quite a reputation, slowly becoming a movement (in my head). I tend to seek out eye-catching African inspired design prints which may be bold, geometric, retro, tribal, botanical, mid-century modern or even geeky too! They are certainly a quick & easy way to inject splashes of colour into your spaces. At the moment I’m obsessed with giving my lampshades alternative linings on the inside like metallic gold or bronze as well as making them transparent too. I love commissions, special projects & collaborations, especially partnering with interior designers/stylists, property developers, home-stagers, architects etc. I also work with film set & stage designers. I am also a lampshade tutor and love hosting lampshade making workshops. You can find me at the World famous Greenwich Market on Sundays (not every single one though) where I have a “pop-up-shop”. I also sell in person at well curated handmade craft fairs & markets especially at the run up to Christmas.